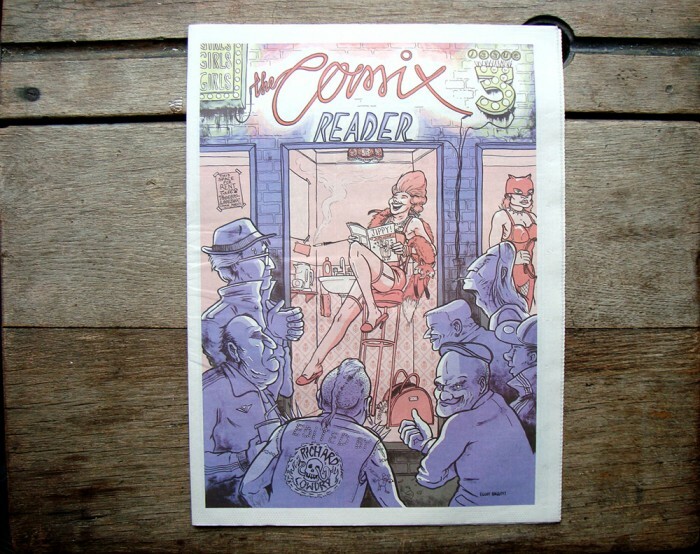 The Comix Reader 3 22 pages, Full Colour, A3 Newspaper Format. Another dispatch from the UK underground scene. 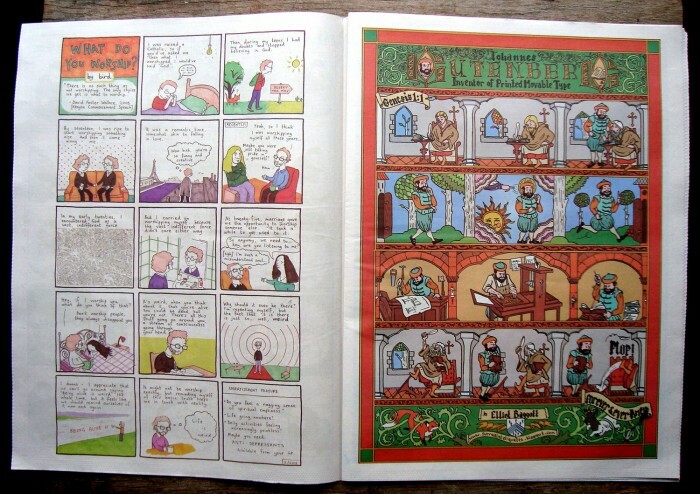 It is published as a newspaper (full colour, mind you) which not only allows the generous price tag but is perfectly suited to the content: a call to arms against the bland (and corrupt) conventions that permeate our nations newsprint and a salute to the days of the Sunday Funnies, albeit with a more knowing satirical bite; this is comixwith an ‘x’ after all. 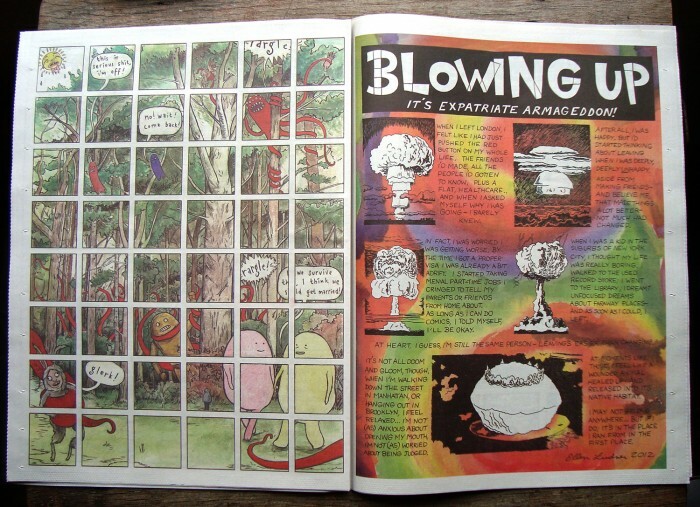 Each comic is refreshingly different from the next – there is no house style here – but each shares a common taste for the subversive, the experimental, or the angst-ridden that is so often the hallmark of alternative comics. 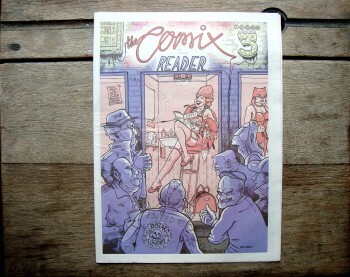 But most importantly the Comix Reader can be hilarious. I struggled to suppress peals of laughter (resulting in me emitting strangled yelps into the quiet sanctuary of the book shop, probably alarming customers somewhat) at reading Sean Duffield’s comic depicting Alan Sugar on the toilet.